The Boulevard located at the corner of Third & Grand is the first new construction residential development in New Center in the last thirty years. The Boulevard located at the corner of Third and Grand is the first ground-up mixed-use transit-oriented development for The Platform. Sited on 1.5 acres in New Center, it provides five floors of high-quality residential over ground floor retail. 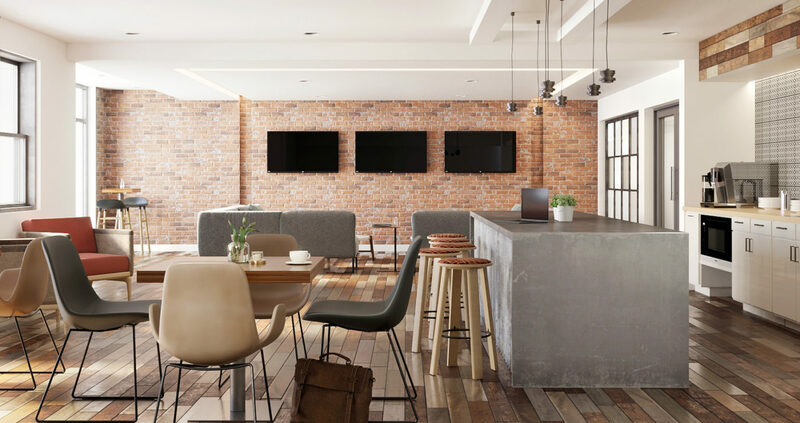 The Boulevard offers new housing options in the context of strong anchor institutions such as Henry Ford Hospital, the State of Michigan, the Center for Creative Studies, and Wayne State University. Between the M-10 expressway and the Q-Line, residents will be able to easily access metro-Detroit by car; New Center, Milwaukee Junction, and TechTown by foot; and downtown and the surrounding neighborhoods by public transit. Before groundbreaking, the site was a surface parking lot with a past life as a Howard Johnson Motor Lodge, built by Max M. Fisher in 1966. In 1997, the building was demolished to serve as a surface parking lot. 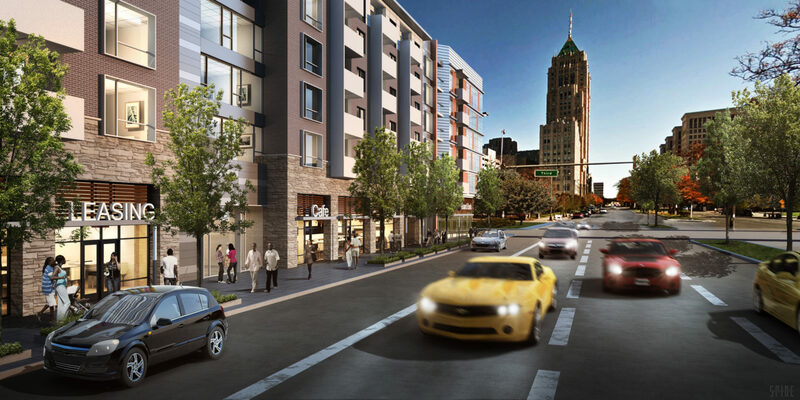 The Boulevard will offer ground floor retail over apartments on West Grand Blvd. On Community Engagement: A series of community meetings were conducted throughout the city approval process with The Boulevard being of the first projects to commit to providing 20% affordable units at 80% AMI as part of ACT 210. Moreover, working closely with Henry Ford Health Services, the project was Incorporated into their campus master planning efforts. On Design Excellence: As an infill project, The Boulevard fills a critical void along West Grand Boulevard, engaging with the sidewalk of the boulevard in a manner that is appropriate for its urban context. Parking is strategically tucked away and out of sight. Residential unit floor plans were a large focus of the design effort with affordable units intentionally spread across all unit types.